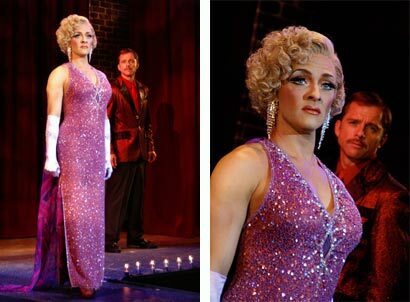 James Beaman on stage in La Cage Aux Folles (2007). looking very elegante(f),even if the skirt is a trifle short, as my spouse tells me sometimes. Did they have first-aiders in the room to help people overcome with shock? Thank you, Chris. No one seemed to be in shock. Everyone I encountered accepted me as the woman I appeared to be. Huggiest congrats on your award, dear! Your courage and grace are an inspiration to gurls everywhere. I bet all those nerves melted away upon getting your award and no doubt you are glad to be this OUT. Good for you Stana! You go, girl. Stana, you make us all so very proud. Thank you for putting yourself out there. Doing so now, while the insanity of the bathroom issue approaches a fever pitch, is a welcome showing of bravery and conviction to what is right. Now, we cant wait for you to fill us all in on the details of this year's hamvention and your experiences along the way. You're the best. Congratulations on your award. Thank you, Rhonda. Going in, the bathroom brouhaha was on my mind, but it seemed to have made no difference after all. Congratulations on your award, I am proud to know you, if only from your blog. 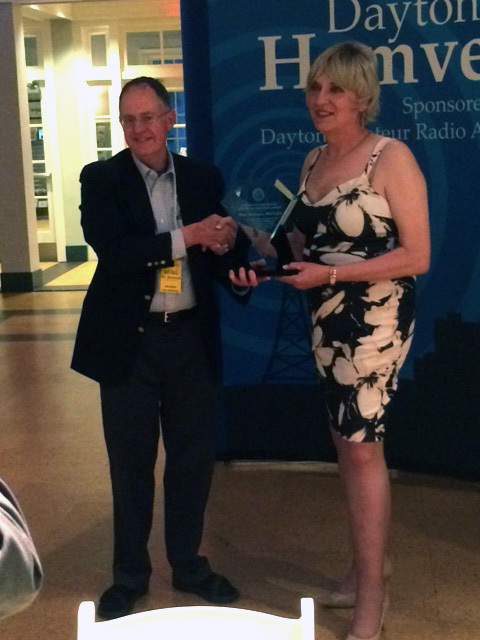 Congratulations, Stana, for an award well deserved in the amateur radio world. You look lovely. Stana, as has been said, thanks for being a positive role model in this world of trans insanity. Everyone needs to know a you! What a kind thing to say! Thank you, Cyrsti! CONGRATULATIONS! Wonderful photo. You look LOVELY! Congratulations for your award, Stana, and for being out in the public spotlight for all of us. Awesome for you! I am happy for you! Congratulations, Stana! Escape is wonderful!!!!!! Congratulation Stana. I love the photo of you getting the award and your absolutely stunning in your outfit. You are very kind, Christina! Thank you. Congratulations Stana, you look gorgeous. Now that Stana so out be the world is Stana now going to go to work also? Thank you, Barbara. About work... I hope so!